Manchester City manager, Pep Guardiola, insists Kelechi Iheanacho is a young player still in the process of his footballing education. Iheanacho has impressed since breaking into the City team last season, weighing in with crucial goals. 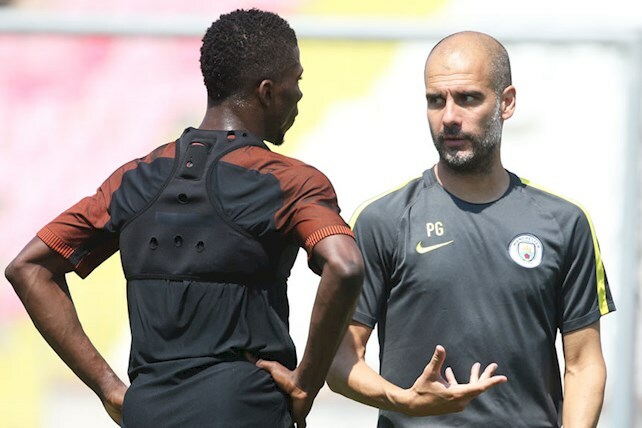 Guardiola says Iheanacho’s talent is unquestionable but must continue to keep his feet firmly on the ground while playing his part to complement the club’s number one striker, Sergio Aguero. “Kelechi is a young player – huge talent but he is still learning. Sergio is a special player. “We have to convince him how special player he is for us. We need him a lot. “When he’s in that behaviour and has that hunger in that moment Sergio is definitive. “He’s a big part of the history of this club and we want to help him to become a bigger part of this fantastic club,” he said. Iheanacho has scored four goals in all competitions for City this season.